Investing.com â" U.K. stocks were higher after the close on Tuesday, as gains in the Construction & Materials, Fixed Line Telecommunications and Electronic & Electrical Equipment sectors led shares higher. At the close in London, the Investing.com United Kingdom 100 added 0.30%. The best performers of the session on the Investing.com United Kingdom 100 were Hikma Pharmaceuticals PLC (LON:HIK), which rose 3.52% or 62.50 points to trade at 1840.00 at the close. Meanwhile, Travis Perkins PLC (LON:TPK) added 3.58% or 37.00 points to end at 1069.50 and CRH PLC (LON:CRH) was up 3.17% or 70.00 points to 2281.00 in late trade. The worst performers of the session were Reckitt Benckiser Group PLC (LON:RB), which fell 4.55% or 301.00 points to trade at 6311.33 at the close. Fresnillo PLC (LON:FRES) declined 3.01% or 26.88 points to end at 867.45 and Randgold Resources Ltd (LON:RRS) was down 2.76% or 174.00 points to 6126.00. 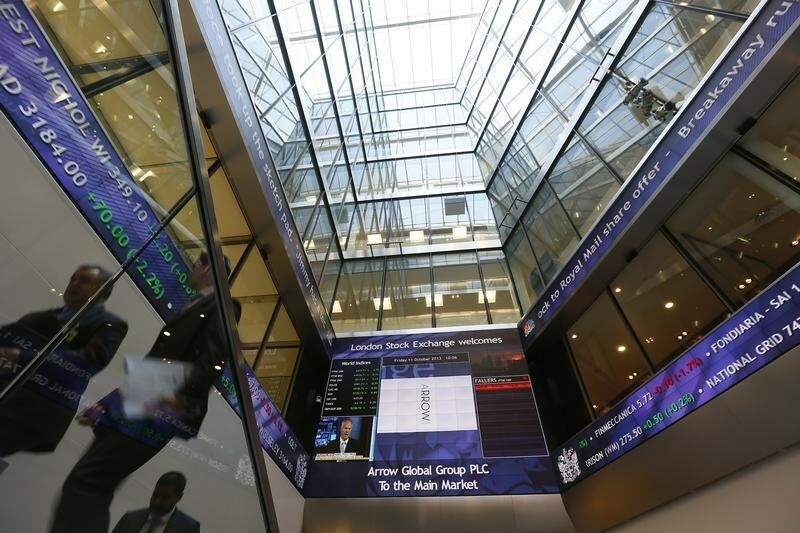 Falling stocks outnumbered advancing ones on the London Stock Exchange by 1107 to 1097 and 100 ended unchanged. Gold Futures for December delivery was down 0.54% or 6.60 to $1225.90 a troy ounce. Elsewhere in commodities trading, Crude oil for delivery in December fell 0.60% or 0.40 to hit $66.64 a barrel, while the January Brent oil contract fell 1.05% or 0.81 to trade at $76.53 a barrel. GBP/USD was down 0.49% to 1.2730, while EUR/GBP rose 0.44% to 0.8929. The US Dollar Index Futures was up 0.27% at 96.61.